Thank you for visiting the Home for Abandoned Drums. Here are just a few of the current inmates who've been nursed back to health and now serve the musical community once again. 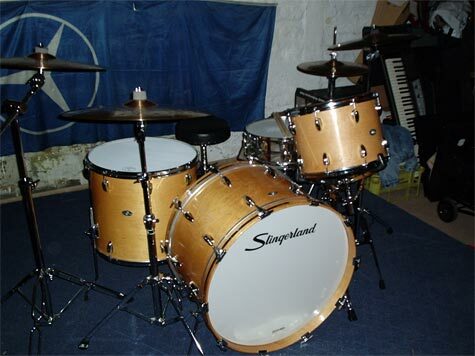 Slingerland, late 70s, Niles badged. 24x14 bass, 14x10 rack tom, 18x16 floor tom. Note the four legs on the floor tom and (not shown) the four spurs on the bass. 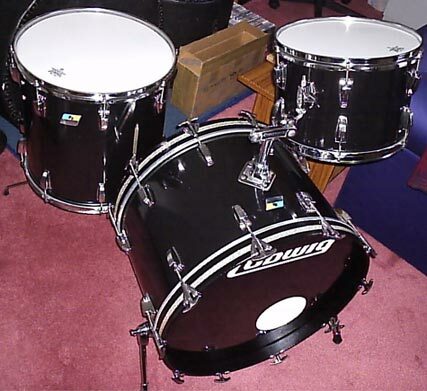 The rack tom was converted from a single-headed concert tom using genuine Slingerland parts. Rogers, late 70s, 'Big R' Memriloc. 24x14 bass, 14x10 rack tom, 18x16 floor tom. 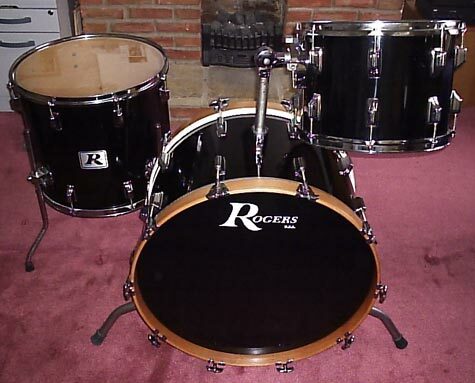 Forget about so-called power toms, this is a real rockers kit. The beech bass drum hoops were rescued from a Premier marching drum, stripped and varnished. Ludwig Super Classic, late 70s. 22x14 bass, 13x9 rack tom, 16x16 floor tom. Buddy played 'em, Ringo played 'em and I... well, I just hope some of the magic rubs off. These drums had a few battle scars, but with a bit of work, they're singing again.